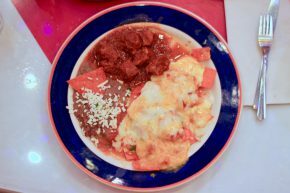 There’s little not to love about Tex-Mex, but it’s also hard to distinguish the difference between Mexican food that happens to be served in Texas and Tex-Mex. I have a theory that queso is the difference. 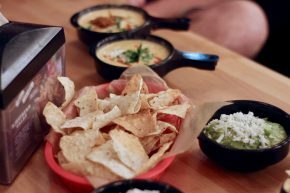 Sure, queso literally means cheese in Spanish, but in Tex-Mex it means melty cheesy sauce. Torchy’s Tacos (originally from Austin) in San Antonio had some attractive queso on its menu, but I was also eager to eat its namesake tacos.